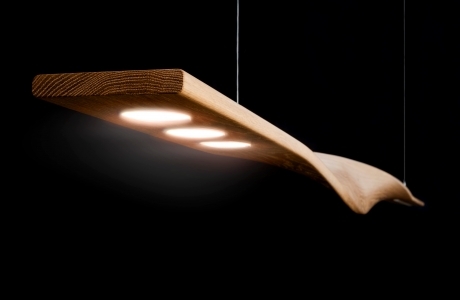 The design features a solid Tasmanian oak timber plank twisting over itself at 180 degrees. 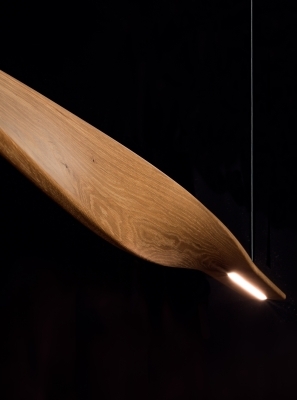 The apparent method to achieve such a sculptural element would be layering or laminating thin strips of veneers, creating a traditional oak ply, however we decided to take a more progressive approach and explore the limits of the material. 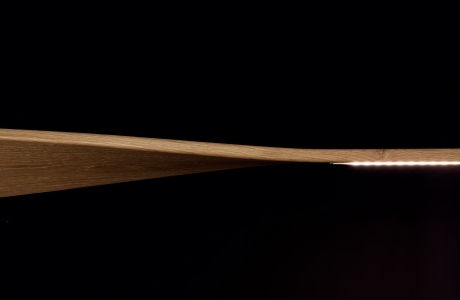 The bending process involved steaming the plank and increasingly twisting the timber over time. This was achieved through the skills and expertise of Nathan Day Design’s, who has an in-depth knowledge of the timber’s behaviour and was able to successfully execute the design. The timber now remains against its natural state, accentuating the material’s capabilities. The light embodies one delicate gesture that is simple yet exciting. 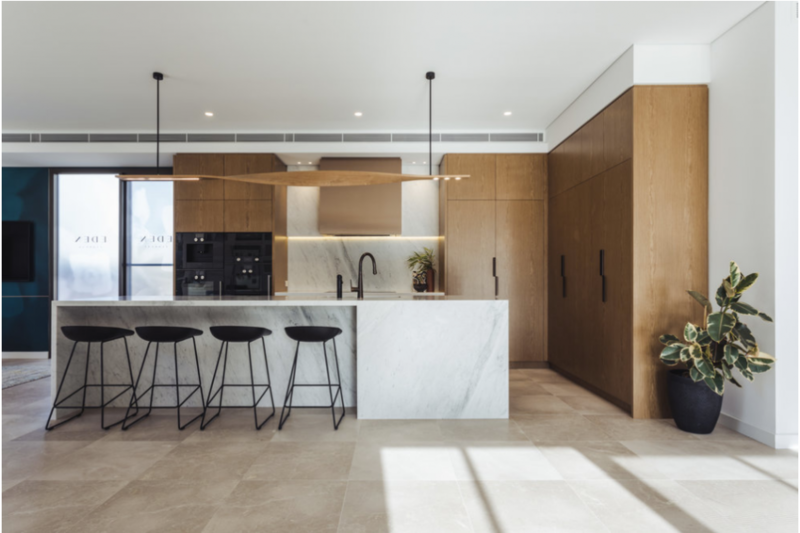 The project which will house the pendant light is situated directly opposite of the Perry Lakes reserve in Floreat, consisting of 80 hectares of beautiful, dense parkland. When visiting Perry Lakes Reserve you can observe the towering trees, seemingly unyielding, swaying and exhibiting gentle movements from the wind. 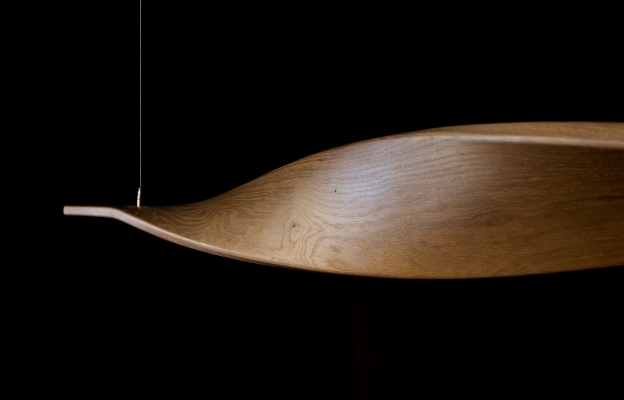 Like the trees, the solid oak pendant light challenges our understanding and expectations of the material. 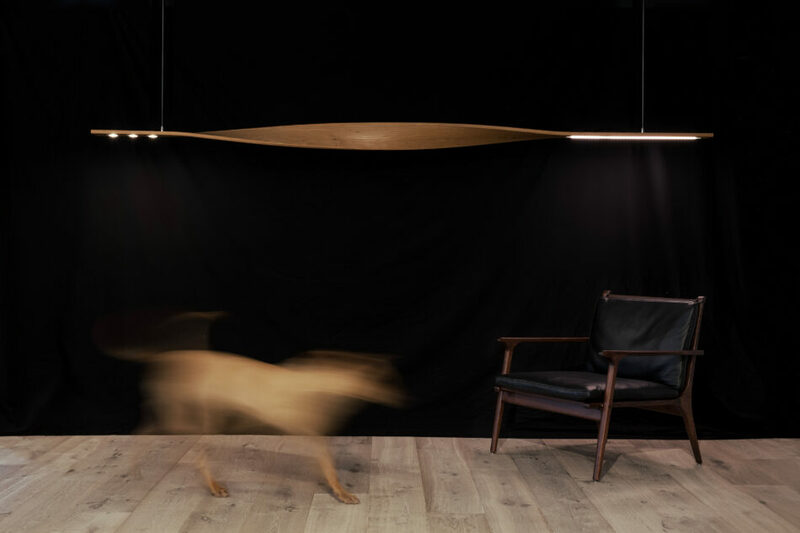 In one soft and elegant movement, the light engages the users of the space and creates a marriage of movement and rituals.